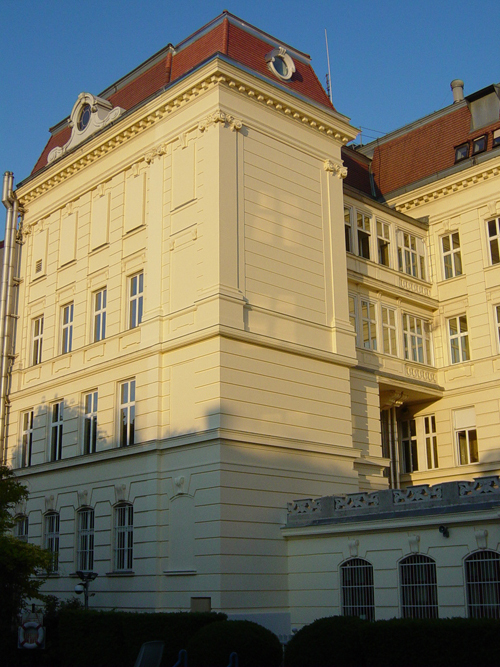 BPA was a member of the design/build team responsible for the five-story exterior egress stair for the existing Chancery building at the U.S. Embassy in Vienna, Austria. The existing Chancery building was constructed in the late nineteenth century and is designated as a historic structure within the city of Vienna. Modifications to the exterior of the building required city approval. The Chancery building is U-shaped in plan and contains an egress stair in the north wing and an open ceremonial stair in the central portion of the building leading to the main entrance lobby. The south wing lacked a code compliant egress stair and posed an unsafe condition for the occupants of the south wing. Prior to BPA’s egress stair design, previous stair designs had been rejected by both the Embassy and the City of Vienna. The BPA design was approved and constructed because it complemented the architectural style of the existing building utilizing material and detailing of the original structure, preserving the historic integrity of the building.